What do I think of Bart Ehrman’s latest published by HarperOne? Let’s plunge into the Deeper Waters and find out. Bart Ehrman has a few characteristics that seem to show up in every book that he writes. One is that he will very rarely interact with those who are his best critics in the field. In Forged, he spends no serious time on the work of Randy Richards on the usage of secretaries, for instance. In How Jesus Became God he barely interacts with Hurtado and Hengel and does not even once mention Bauckham. So it is that in this book, he doesn’t deal with many of the best critics out there, such as the work of Walton and Sandy in The Lost World of Scripture or with the work of Robert McIver in Memory, Jesus, and the Synoptic Gospels. The second consistent aspect you’ll see of Ehrman’s work is at heart, he still has a lot of fundamentalist underpinnings. Oh you’ll see him referring to the gist of a message in oral tradition sometimes, but more often you’ll see him suddenly sneaking in an idea of verbatim agreement or word for word testimony. You’ll see him still using ideas similar to a telephone game going on. These descriptions don’t make sense for oral traditions. I happen to agree with what Craig Evans has said in that Ehrman is on a flight from fundamentalism. Ehrman still seems to think in categories that are more all-or-nothing and there are times I just do not think he’s really handling the data properly because of this background. Let this be a warning to those of you who want to push a highly Westernized and Americanized form of inerrancy. To show my first example of the extremes, Ehrman says on loc. 184 in the Kindle version that we have ideas of the ancient world where it is thought they had better memories and that “people always preserved their traditions about their past accurately.” Well that would need some qualifiers. What does it mean to say accurately? Do we mean word for word? Well no. Frankly, that’s nonsense. Do we mean the gist of the story? Yes. Does that mean there could be no variations whatsoever on secondary details? No. Does it mean that this is something that’s foolproof? Well no. Of course any tradition could be in error over time and get changed, but the way to see that is to look at the oral tradition itself and I really don’t think Ehrman does that well. Ehrman also raises the issue of the ‘telephone game’ when he says starting around location 190 that “This was a mysterious period of oral transmission, when stories were circulating, both among eyewitnesses and, even more, among those who knew someone whose cousin had a neighbor who had once talked with a business associate whose mother had, just fifteen years earlier, spoken with an eyewitness who told her some things about Jesus.” It’s hard to read this without thinking about the movie Spaceballs, (“I am your father’s brother’s nephew’s cousin’s former roommate,”) but I digress. Ehrman lives in a world where it’s like these people in the Biblical times really experienced privacy like we do and stayed isolated from the group. No. These things were talked about in the groups. In an age without IPhones and Skype, people talked face to face and in an age without television and newspapers and internet to spread the news, these people met in groups and talked in groups. At Loc. 207, Ehrman has said all we have are memories and then immediately says “Memories written by people who were not actually there to observe him.” Perhaps they weren’t, but doesn’t this seem too early to be saying what the supposed conclusion is? It will also in fact be my conclusion that Ehrman just does not back this conclusion well. At loc. 222 he says “When it comes to knowing about the Gospels, and about the historical Jesus himself, it is all about memory. And about frail memory. and faulty memory. And false memory.” None of this is really glowing about memory. Of course, at times Ehrman will say for the most part our memory is reliable, but here it looks like memory is being seriously called into question. At this point, I wonder if Ehrman does this same methodology for history everywhere. In fact, this will be brought up again later on in my look at this book. A great danger is that we often treat the Bible differently from any other ancient text claiming to be historical and as Tim McGrew warned Ehrman about the practice of changing standards and such in his debate on Unbelievable?, down that path lies mythicism. One scratches one’s head when they get to loc. 266 where he says “The past is not a fixed entity back there in time. It is always being transformed in our minds, depending on what our minds are occupied with in the here and now.” Now if he wants to mean our perception of the past alters, by all means, but it is quite problematic to say the past is not a fixed entity. Either Jesus rose from the dead or He didn’t, and nothing can change what already happened. We could get new data that changes our view or we could see something different that changes how we experience our view, but the past itself does remain fixed. At Loc. 326 he asks “What happens when stories are circulated orally, from one person to the next, not just day after day, but year after year, and decade after decade, among such people, before being written down.” Once again, it’s statements like this that make me think Ehrman is still plugging in a false view of oral tradition, like the telephone game. It was not just one person sharing a story but rather multiple persons in groups sharing a story with people there who could vouch for it. Note also the emphasis on having something written down. We in the West make a big deal about that. In fact, it’s a common question often asked to apologists when speaking about Jesus that “If all this really happened, why did they wait so long before they wrote it down?” It’s a good question, but it’s also one that can be quite simple. Oral tradition was free, quick, reliable, and it reached everyone who understood the language. Writing meanwhile was expensive (Writing Galatians by today’s standards could cost about $500 and let’s not forget the delivery of the manuscript so think about how much a whole Gospel would cost), slow, not seen as being as reliable since the person who wrote the work was not there to teach about it often, and it would only reach those who could read or have it read to them. In this world, which one are you going to go with? Ehrman also makes odd statements about other works of NT scholars. “The more I read, the more surprised I became that so many scholars of the New Testament—-the vast bulk of them, so far as I can tell—have never explored this research, even though it is so fascinating and most immediately relevant.” In fact, when I read about the historical Jesus, I often find these issues addressed. There is nothing new under the sun. Perhaps this is new research to Ehrman, but not to others. On p. 15 he tells us that “I approach these questions from fields of study that I have never written about before and that many New Testament scholars have simply never explored, including cognitive psychology, cultural anthropology, and sociology.” Again, I wonder how much he’s paying attention and furthermore, if he’s really approaching the text from these areas. For instance, I do not recall seeing Ehrman ever engages with realities like the Mediterranean culture being an honor-shame society. This is an important area of social science for the New Testament. Ehrman still sees individualism and still often sees literalism. On page 7, Ehrman tells us that probably the vast majority of modern scholars today hold the view of a Jesus who was an end-times prophet of an apocalyptic nature who predicted the world would end soon and God was going to wrap everything up. Ehrman says he held that view since he was a graduate student in the early 1980’s (I am puzzled that Ehrman wants us to wonder if memory is really reliable but when his memories come up, that’s never questioned). Of course, this wouldn’t be much of a shock since dispensationalism was such a strong view then and filling many of our theological institutions. I have critiqued Ehrman’s book on Jesus as an apocalyptic prophet with my main criticism being again, Ehrman is a literalist with the text and he does not even interact with orthodox Preterism or mention it. As said before, Ehrman still holds a fundamentalist and literalist view. Ehrman does the same thing when he looks at infancy Gospels and stories about Jesus as a child. 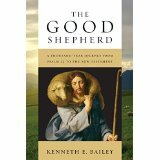 He says these are not taken seriously today, “But throughout history people often remembered Jesus this way.” (p. 22) They did? Well I would want to see some evidence of this. Do we have any indication that these books were written in some sort of genre meant to be taken historically and not just as something fictional? (It’s worth noting Ehrman nowhere points out the Gospels are written as Greco-Roman biographies and meant to be seen as history as he nowhere interacts with Burridge either.) That a book was written does not mean it was read widely. Even if it was read widely, that does not necessitate that this was something taken as a true historical account. On p. 31, Ehrman says that it’s a question worth asking about whether any of us has any true memories of Jesus in a technical sense. How would we know? Indeed. How would we know? And this is something that surprises me. Ehrman thinks that these people who were closest to the times could not be reliable in their memories to tell us about the historical Jesus, but Ehrman, writing from nearly 2,000 years later, can tell us about those authors. Sure memories could be faulty, but I think that is something that needs to be demonstrated more. What needs to be shown is not that a memory can be faulty, but that this memory is faulty. Skepticism is not an argument. It is something that must be argued for. If you are a skeptic of a particular memory, feel free to show why. On p. 49, Ehrman tells us that it is widely known that the authors of the Gospels were writing 40-65 years after Jesus’s death. They weren’t his personal companions. They weren’t even from his same country. Perhaps they weren’t, but again, I think Ehrman is stacking the deck too quickly in advance. I also wonder who it is widely known to. Does Ehrman mean scholars who agree with his approach? If so, then we have Ehrman just saying “It is widely known by scholars who agree with me that the view I have here is the right one.” Not much of a shock. That would be like me saying “It is widely known among evangelical scholars that Jesus rose from the dead.” Of course it is. If one denied this, he would not be an evangelical scholar. On p. 53, Ehrman says we also have a problem that Jesus’s followers were not passing along Jesus’s teachings and actions as they were memorized verbatim. He later asks “What is the evidence that Jesus’s teachings were preserved word for word the same?” That is a good question from a Western perspective, but it is a false one. Jesus was an itinerant preacher and like other teachers, he no doubt told the same story more than once. It is not a question of the original account but the original accounts. He could change the story depending on the audience. One example we will look at later is the Sermon on the Mount. It is doubtful that this is a word for word teaching of Jesus but likely more of a summary. After all, the whole sermon could be given in about 15 minutes. An example many of us could give is to have sermons like Peter’s in Acts 2 that can be read in about 2 minutes and get 3,000 converts. The problem is Ehrman’s hang-up on word for word and verbatim. This shows he is not really dealing with oral tradition. As someone who has spoken at various churches, I have a number of sermons that I can give. I have given the same talk many times but I have never given the exact same talk before because my words are different. There is new research on my part or there are different audience members I want to reach or maybe one is to just a live group and one is to a live group and an online group. It would be just silly to ask for “The original talk” that I gave. It is interesting that Ehrman shares how he first realized this as he talks about Gerhardsson’ teacher, Riesenfeld coming to Princeton Theological Seminary. (Gerhardsson was a researcher on the oral transmission of the Gospels and memory in Hebrew culture) Ehrman presented a question about discrepancies in the account of the raising of Jairus’s daughter. Ehrman tells us that Riesenfeld thinks that this is describing two separate occasions. Ehrman concludes that this theory of remembering precisely the words and deeds of Jesus did not make sense. Before we get to the problem with that last sentence, let’s note something. This was when Ehrman was a graduate student at a seminary so let’s put this in his 80’s since he received an M.Div. in 1981 and a Ph.D. in 1985. Thus, we have a memory that is at least 30 years old. We have no other eyewitnesses to this and we could say Ehrman even has a bias in it. Ehrman could say he clearly remembers, but in the book Ehrman will present arguments that we can have clear memories that are simply wrong even if we’re convinced they’re clear. Yet somehow, we are to believe that Ehrman accurately remembers an event from 30 years ago in a book where Ehrman is arguing about memory not being as reliable as we think it is. I find it problematic for Ehrman to argue in a book regularly that memory is not reliable and yet use his memory as if it is ipso facto reliable. It could be, but it’s just an odd contrast. But to get to the last sentence, I find it puzzling. I think it’s simple enough to say that there is some compression going on in one of the accounts and the gist of the story is still the same. Ehrman has this idea that if there are any discrepancies in secondary details, then we have a problem with remembering precisely the words and deeds of Jesus. Not at all. This is expected for oral cultures. Perhaps Ken Bailey has the idea with what he has spoken of in his own observance. He has seen tradition being spread in the Middle East and how it is told in groups and suggests that this is a parallel to what happened in the time of Jesus. Ehrman disagrees, based on the work of Theodore Weeden looking at Bailey and seeing discrepancies. On page 64, Ehrman makes a claim about literacy in the time of Jesus and how many people were literate. He points to the work of Catherine Hezser on this. He has done this before and he has been called into question about it before. It looks like Ehrman prefers the same resource again and again. There is no interaction with Evans’s Jesus and the Remains of His Day. Of course, we could be fair and consider that Ehrman might have just finished this as Evans’s book came out. Evans points out the tremendous amount of graffiti and inscriptions and such found all over the world which would indicate higher literacy and how difficult it is to explain Jesus being a teacher if he was illiterate. Simple. Scribes. They were used by everyone. Even people who were literate used scribes. Scribes would take the ideas and put them together and probably do so with more writing skill and artistic flair than the original mind behind the writing could, but the writing would still be considered that of the apostle. When we get to memory, Ehrman gives an example of what he thinks are false memories, alien abductions. Now I have done an interview with someone on this topic so yes, I share his skepticism, but at the same time I would wish to be open. Ehrman points to a researcher named Clancy who concludes that these memories of abductions are socially constructed. We live in a culture where this is more acceptable and that this didn’t start happening until alien abductions showed up on television. It is worth pointing out the experience of the early church was the exact opposite. Christianity was entirely socially unacceptable, including the same of a crucified criminal being the Messiah, and that’s just one such detail. Ehrman uses an example of a teacher said to do miracles from more recent times, the Baal Shem Tov. Ehrman says these stories are close to the time and said to be by eyewitnesses and attested to. At this point, we want to ask “Why do you not believe them then?” and if the answer is “Because they have miracles” or something of that sort, then it is clear it is not the evidence that is driving the position but the worldview. I think a great reply to Ehrman on the point of the Baal Shem Tov is to look to the work of David Marshall. Ehrman also does not seriously interact with Bauckham saying on page 85 about his book Jesus and the Eyewitnesses that “Outside the ranks of conservative evangelical scholars, very few if any biblical scholars have found Bauckham’s case persuasive.” It’s really stunning to see this said of a Cambridge educated scholar. Ehrman simply points to some people who have critiqued Bauckham’s book. Fair enough, but what Biblical scholar has written a book that has NOT been critiqued? To say it has been critiqued is not to say the critique is valid or that it has not even been responded to, or that it refutes the book as well as is desired. It would also be false to say Bauckham does not say anything about the reliability of eyewitnesses. He has a chapter on it in fact. Ehrman also asks about the supposed silence of Paul on the earthly life of Jesus. Did Paul not mention it because he found it unimportant? Not at all. He found it unnecessary. How could that be? Paul was writing to Christians who had established churches and who would have already been well familiar with the life of Jesus. It’s a high-context society. Again, Ehrman, who tells us he has done the sociological studies, seems oblivious to this fact and might we add that again, down this path lies mythicism. For Gospel authorship, Ehrman reminds us that all four Gospels are anonymous. That depends. Does he mean that in the body of the work they never identify themselves? True enough. In fact, aside from my closing in this blog, I never identify myself. Would that mean that since the body of my work has no identification within it that my blog is anonymous? No. You could look to surrounding data, such as if you read this on my blog itself, my picture and information are right there. We could even ask if Ehrman’s book is anonymous. It’s a shame to see this thing trotted out regularly about the Gospels being anonymous as if this is some defeater and a major problem. If you’re wondering about the question, the answer is yes. There is no interaction with Martin Hengel at this point. Meanwhile, from the Fathers we have pretty much universal testimony on who wrote the Gospels. Again, if I am to trust Ehrman or those closest to the facts, I choose those closest. So again, this does not count as an argument against Matthew being the author. To be sure, it’s not a clincher for Matthew being the author, but it’s hardly a strong argument against. Moreover, if Matthew is the author, it would be entirely consistent with the best historiographical practices which would show us how seriously Matthew is taking the writing of the account. Of course, too many of Ehrman’s readers will see this as a firm defeater. Yet Ehrman on the very same page turns and while Matthew cannot be Matthew because he is in the third person, he then looks at Luke and John and says “The way they use the first-person pronoun clearly shows that, whoever they were, they were not eyewitnesses to what they narrate.” Looks like the Gospels can’t win for losing. Now looking at Luke, to be fair, it is not an eyewitness account, but it claims to get its information from eyewitnesses. Of course, this does change when we get to the “We” passages in Acts. Ehrman asks that if Luke wanted to show his principal sources of information were the actual disciples of Jesus, why not just say so? Again, Ehrman lives in a world where he thinks everything needs to be spelled out to be true. Luke’s intro is in fact one showing that he is doing thorough research and it would be standard practice of the day to talk to eyewitnesses and in many cases, ancient historians did not in fact cite their sources. Ehrman is treating ancient historians like they should be modern ones. Looking at John 1:14 and 16-18, Ehrman says that with the we language, it might seem that the author is saying that he himself personally saw Jesus’s glory. Ehrman assures us a closer reading shows this is not the case. Not really. While it is true the us is the people who were the followers of Jesus, that is no reason to think John would not have identified himself. It’s not a clincher to show John wrote it, but it’s not the disproof Ehrman would think it is. In John 21:24, Ehrman says the author cannot be the beloved disciple because he differentiates between himself and the beloved disciple with the “we” and “his testimony.” I find this to is just not really honest on Ehrman’s part. It’s normally thought that this is something put in by perhaps the elders at the church of the beloved disciple making a statement about the reliability of the testimony. It’s like the argument that Moses could not have written Deuteronomy because it describes his death, without thinking that someone, perhaps Joshua, wrapped it up for Moses after he died.. When he gets to the apostolic Fathers, Ehrman says it’s odd that if they cite the gospels, which they surely did with Matthew and Luke, my not name the authors? Perhaps for the same reason that if I quote a well-known quote from Shakespeare I don’t have to say who said it. If a quote is particularly well-known, an author is not needed. Why did Paul often quote Scriptural passages and not say who wrote them? Does he not want to give them authority? It’s like Ehrman is getting into conspiracy theory thinking. Ehrman also looks at Justin Martyr’s quoting of the Gospels and says that the quotes are so jumbled that some scholars think that Justin isn’t quoting the Gospels but a kind of harmony, a mega-Gospel if you will. Ehrman takes this as evidence the Gospels were not seen as authoritative. Really? Now to be fair, I’m skeptical that there was a mega-Gospel at that point, like came later with Tatian, but why would one make a mega collection trying to put together these four Gospels? Could it be that it was because these were the Gospels accepted? In fact, I would think this theory gives more evidence that the Gospels were in fact accepted as authoritative. (And no, there is no interaction with someone like Charles Hill and Who Chose The Gospels?) Ehrman’s entire argument relies on “Well surely if X wrote this, someone would have mentioned it.” No. That doesn’t follow. In fact, on page 127, Ehrman says we tend to remember the gist of a story even if the details get messed up. Well that’s the way ancient societies were. The gist was remembered. You were allowed variation on the secondary details. It was expected. On p. 145, Ehrman brings out the idea of how Matthew saw the prophecies and how he gave a weird fulfillment not knowing about Hebrew parallelism and the idea of the king riding on a colt and then the parallel of riding on a donkey. Matthew supposedly took this and thought Jesus rode on both animals at once. I always find this a silly objection. We can say Matthew might be wrong about the triumphant entry, but he is not foolish. He, like everyone else, knows you can’t ride two animals at once like that. What’s going on, when the animals come, the cloaks of the disciples are sat on one of the animals and when it says Jesus sat on them, it means the cloaks. This is a fair and sympathetic reading of the text. It’s a wonder to see Ehrman talk about Matthew being a literalist while his reading is guilty of what he condemns. Ehrman thinks it’s a distorted memory since Jesus was not arrested on the spot, but why should he have been? Jesus had done nothing at that time and frankly, until someone led a rebellion, the Romans might not have wanted to bother interfering with Passover. (And besides, if one started, they could easily squelch it.) Had they done that then, that could have been the activity that resulted in a rebellion. We could say the same for the cleaning of the temple. Jesus is just seen in that case as a nuisance by the Romans, though a greater threat by the Jews. With the account of his arrest, Ehrman has problems since Jesus is said to be a teacher of submissive non-violence. Doesn’t that hurt the idea his followers were armed? Well first, we all know students don’t always follow the message of their teachers. (And in fact, I would question Jesus being a pacifist) Second, all the more for the criterion of embarrassment then! Later in Ehrman’s book on p. 169 he says that in oral performance, there is no such thing as an original version. All performances and accounts are different. The idea of an original is one that comes from written cultures. Ehrman is certainly right here, yet it’s a mystery why he says this here, and then in so many other places speaks of discrepancies in the account or of lack of word for word memorization. We earlier spoke of the Sermon on the Mount. Ehrman wants to know how everyone could hear him if he really spoke this sermon on the Mount. Well for one thing, many of these places were natural amphitheaters and great places for speaking. Second, we have cases such as when Ezra spoke when the Israelites came back from exile, where there was teaching and then other authorities explained what was being said to the people further passing it on. In fact, this could fit in well with Ken Bailey’s model. Jesus would speak and then others in the crowd would pass it on so that all would get the message. On p. 187 Ehrman thinks the ending of the parable of the wedding feast is strange since someone is thrown out for not wearing wedding clothes. Well not really. The host would have provided clothing. After all, there are several poor there and all of them apparently somehow have wedding clothes. This man has spurned the offer of the king. Yet Ehrman insists that the earliest Christians expected the end of the world and so did the disciples of Jesus. What evidence is there? Perhaps he could point to 2 Peter (though of course he doesn’t think that authentic), but how would that even be evidence that all of them thought that? Ehrman’s eschatology is just puzzling. Yet what is also puzzling is what Ehrman says on p. 204. Wait. Ehrman even as a committed Christian could never say it was appropriate to say a miracle had happened? Then exactly what kind of Christian was he? Did he think the resurrection was a naturalistic event? Of course, his argument is Humean and of course, yes, he does not interact with Keener whatsoever, but this whole section is just puzzling. If he is saying that a miracle can never be established, how is that not an antisupernaturalist bias? Finally, I want to wrap this up by looking at the end of the book. I agree with Ehrman that the idea is unsettling that if we find errors in the Gospels we should throw them out and move on to other things. This is indeed all-or-nothing thinking. Even if I was convinced of errors in the Gospels, I would not throw out everything as being non-historical. Sadly, Ehrman asks if the historicity really matters. Does it matter if Jesus really healed the sick, cast out demons, and raised the dead? Does it matter if he himself was raised from the dead? To me as a historian it does. But if these stories are not historically accurate, does that rob them of their literary power? Not in my books. They are terrifically moving accounts. Understanding what they are trying to say means understanding some of the most uplifting and influential literature the world has ever seen. p. 278. Maybe it all just depends on which Ehrman you read…. But yes, it does matter. If I told you a story and you thought it was true of how a kind philanthropist had recently died and left you a billion in your bank account, would you be happy? Sure. Then I tell you it’s just a story and say “But hey, the story is still a good one isn’t it?” Well no. It’s not any more. As a Christian, the truth of the story matters. A story does not provide salvation. A story does not give eternal life. A story does not solve the problem of evil. A story does not give me hope in the face of suffering. If all we have are stories, then we are just fooling ourselves and trying to deny a bleak reality that the world really is just a pointless meaningless place. If Christianity is just a story, then as Paul says, pity me. It is a situation in which you should feel sorry for me. However, I am convinced this is not the case. I agree with Peter. We are not following cleverly invented tales. If Jesus’s resurrection is true, it really does change everything. It is the case as Lewis would say of hearing the most wonderful story of all and then realizing that that story is in fact true. In conclusion, I really think Ehrman’s books are slipping more and more. On the other hand, he is conceding more and more that Christians can agree. I wish Ehrman had availed himself of far better resources and I do still see him on a flight from fundamentalism. Hopefully he will one day realize that the question of it being a story or not does in fact matter.